4G & VoIP telephone hire for construction sites anywhere in the UK. Broadband and telephones can usually be set up on your site within 48 hours notice. 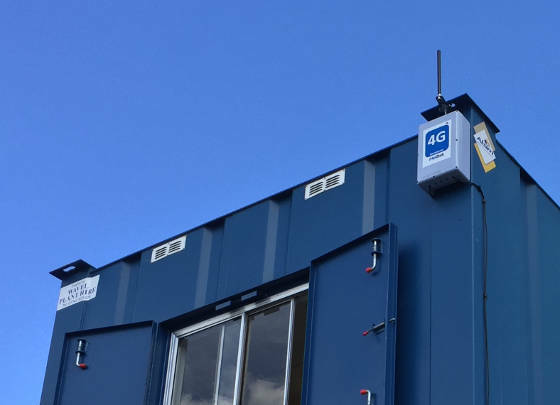 We offer 4G connectivity solutions for construction sites anywhere in the UK. Broadband and telephones can usually be set up on your site within 48 hours notice. 30 Day Rolling Contract – No Long Contracts! We give you the best service – Try us! Our 4G broadband solutions use highly efficient antennas along with the latest hardware, developed in-house and designed to provide the best possible performance. 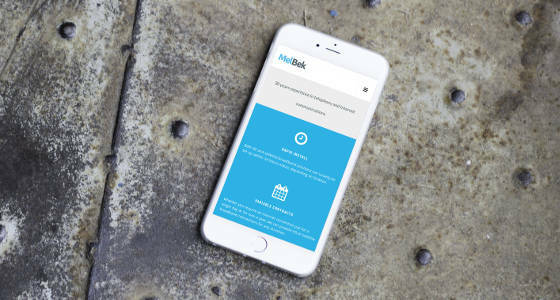 Get in touch today to request a free trial. Included in the package are site WiFi, email and SMS alerts, and a Web-based portal that keeps you up-to-date with usage and service status. Support and maintenance are also included free: we provide secure remote access to help resolve any issues. We Provide Broadband Coverage Anywhere in the UK! We are specialists in providing connectivity solutions for the construction industry. With 20+ years experience behind us and having won a Microsoft award, you can not only rely on us to provide a solution that works, but also safely rely on us to set up our equipment on any construction site. As the equipment, connectivity, and setup is all supplied by us, we can provide an extremely reliable service. We provide our own MEWPs and IPAF trained operators for equipment installation. We are fully insured and always work with Health and Safety as our priority. We have our own MEWPs, hold CSCS and IPAF cards, are CHAS compliant, fully CRB checked and have first aid cover. Most of all, we understand the unique demands of a live construction site. Satellite and 4G broadband can usually be set up within 24 hours notice (subject to demand). We can provide satellite or 4G broadband for any duration, whether you need connectivity for a single day or several years. 4G broadband connections for both Internet and telephone services. No long-term contracts – just give us 30 days notice of termination when you no longer require the service. Our professionally installed 3G and 4G solutions are providing faster, more stable connections – with up to 100Mbps download speeds. We monitor your connections and provide direct support to the site, if required. 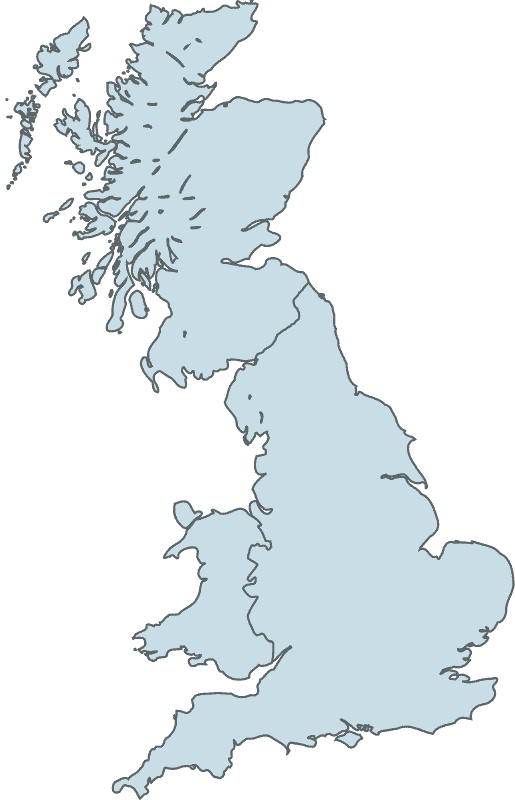 Where no mobile coverage is available, satellite broadband is used to plug these gaps, providing 100% coverage in the British Isles. The satellite solutions we use have been proven over many years, providing a reliable Internet connection and telephone line. Having a telephone on site can ease health and safety worries if your mobile phone signal is patchy. 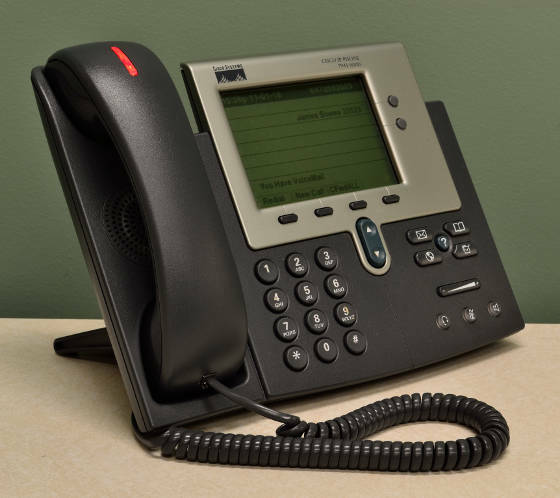 While setting up a standard telephone line can take months, Voice over Internet Protocol (VoIP) telephones can be set up instantly over your 4G connection, operating just like a standard telephone along with a local number. Voice over Internet Protocol (VoIP) is a quick and cost-efficient means of providing telephone communication over broadband. Our VoIP telephones are WiFi enabled, and are a perfect accompaniment to our 4G solutions. We can provide local, national or free telephone numbers for your connection(s). Optional functionality includes call forwarding and voicemail (including voicemail messages sent to an email address as MP3 files). We provide telephones on monthly rental, even if you only need the service for a short period of your build. Internet connectivity across multiple site cabins/offices, or even the complete site – both indoors and outdoors. We can set up WiFi access for both private and public access, for example: private for on-site communication and public for welfare facilities. This can be set up regardless of whether or not you are using our 4G or satellite broadband solutions. Our solutions provide 4G broadband with WiFi included, using cutting-edge solutions designed in-house. Ideal for use on construction sites, for either short or long term projects. We can usually supply a connection within 24 hours, depending on demand. Ordering is easy, with no lengthy contracts. Alert service to help manage usage. Available as an add-on, this is the perfect addition to help get the most out of your 4G connection, ensuring that bandwidth usage is not misused and that costs are kept down. Email and SMS alerts are free with the service, warning you when your package usage reaches 25%, 50%, 75%, 90% and 100% – including a warning if you are likely to exceed your monthly usage at each of these stages. We always aim to respond quickly to any issues raised, whether related to the connection itself or in using specific protocols over it. 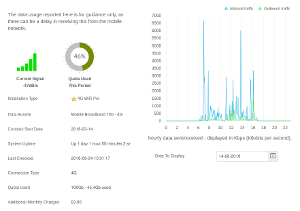 We have secure remote access to our devices, allowing us to jump onto a site and diagnose any issues.